Sunday, October 21, 11 a.m. Engaged at age 5, Dr. Kakenya Ntaiya experienced female genital mutilation as a 13-year-old in preparation for marriage. However, Kakenya dreamed of being a teacher, so she negotiated with her father to return to school in lieu of marriage after undergoing FGM. When she was accepted to Randolph-Macon Woman’s College, she promised her community she would use her education to help the village in exchange for their support. Kakenya went on to earn her Ph.D. in education and returned to her community to fulfill her promise. Kakenya founded Kakenya’s Dream to educate girls, end harmful traditional practices, and uplift her community. In 2009, the Kakenya Center for Excellence boarding school opened its doors, serving 30 students. Today, more than 350 girls have been educated at the school, including the first 25 students who started university in 2018. Dr. Kakenya Ntaiya received the Alumnae Achievement Award in 2015 at Randolph College. Attendance is limited, so please register early! Public parking is available at the 131 Dartmouth Street Garage. The Back Bay Station is a 7-minute walk to Clerys. 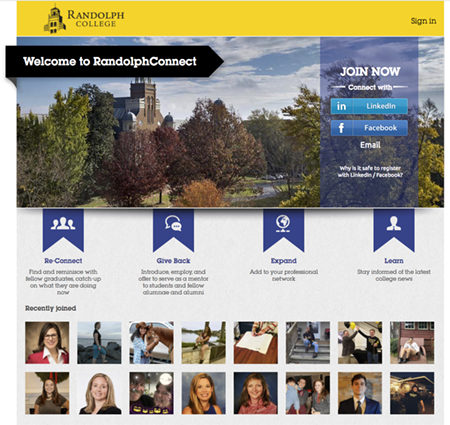 For more information, contact the Office of Alumnae and Alumni at 434.947.8102 or alumnaeoffice@randolphcollege.edu. Local Contact: Jamie D’Innocenzo ’83, 978.239.3888 or jamie@dinnocenzo.com. Please click here to share it with us so we can keep in touch!